Property 5: Comfortable oceanfront cottage w/ easy beach access - dogs ok! Property 9: Great Vintage 2500sq ft. country cabin amazing river front setting! Property 12: Rosie's Woodland Paradise! Come relax and rejuvenate! Property 13: Cozy, family-friendly home with shared pool - close to town. Free SHARC access! Property 15: Gorgeous dog-friendly log cabin by the Deschutes River w/ private hot tub! Property 16: Recently remodeled home on the Alsea River w/ private dock! Property 17: Siletz Riverhouse ~ Stay at Our Peaceful Haven on the River! Property 18: Quiet oceanfront getaway w/ocean views, walk to beach - dogs ok! Property 20: Ground-level beachside studio w/ stunning ocean views! It's dog-friendly too! Property 22: Beautiful dog-friendly chalet with private hot tub, fire pit, & mountain views! Property 28: Oceanfront upstairs condo w/beach access - dogs welcome! Property 31: Experience Driftwood Beach Guest House, an oceanfront home in Seal Rock, OR! Property 33: Come Stay With Us At The Rookery, A Piece Of History Along The Rogue River! Property 34: Inviting, dog-friendly, waterfront cabin w/ covered porch & cozy interior! Property 35: Updated Sunriver Area Home on 1.5 Acres Near Bend! Property 36: Lovely cabin in the woods with a private hot tub, perfect for relaxing! Property 38: Now Accepting Reservations for 2019! Property 39: Quiet, dog-friendly cabin close to the beach with tons of character! Property 40: Serene dog-friendly cottage just blocks from the beach & main drag! Lovely riverfront home, close to skiing, fishing & more! Property 43: Lovely riverfront home, close to skiing, fishing & more! 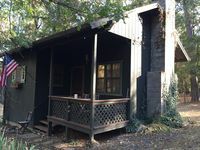 Property 45: Cozy Bend Studio Apt w/ Fireplace on 5 Lush Acres! Cozy oceanfront home w/dog-friendly attitude, amazing views! 3 blocks to beach! Property 46: Cozy oceanfront home w/dog-friendly attitude, amazing views! 3 blocks to beach! Property 47: Welcome to the “The Bear Hut”! Property 48: Oceanside Big Stump Beach getaway - dog-friendly, romantic, and cozy! Property 50: Ocean View OASIS Private Retreat. Luxury and Quality! Sleeps 4.